For my past few classes I have been enjoying a dry sweet when I have my tea. To the left is what this sweet looks like. It melts in the mouth and is not as sweet as Canadian/America candies. These sweets come in other forms such as seasonal shapes (flowers, leaves etc) but this one can be used for any season it seems. 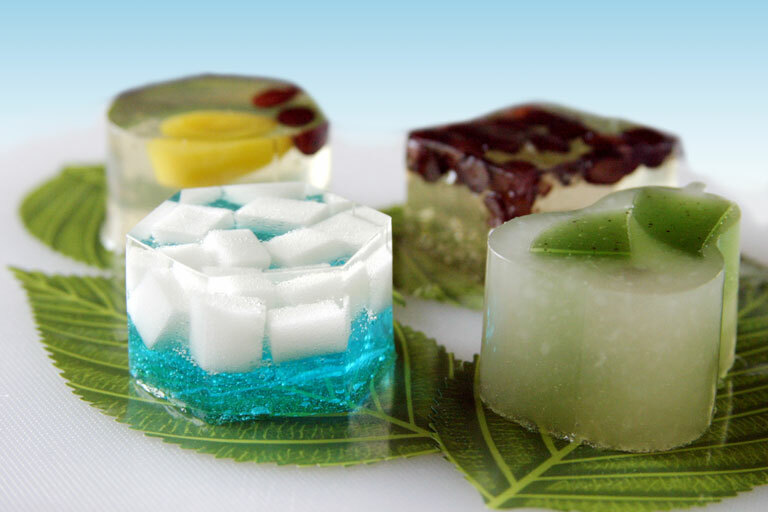 This type of dry sweet is used for usucha or thin tea. Not many people have tried its other form koicha or thick tea. Thick tea, from my research, is served to all guest from the same bowl. It is passed from guest to guest till it is done. 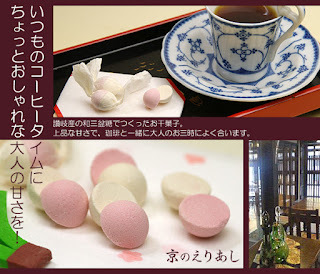 The sweets that accompany this tea is moist, like a jello consistency or almost cake like (fondant more so). The image I have used to show you this usucha sweet is from Rakuten, an online shop that in itself acts like a mall. I have found everything from food to kimono to even tobacco accessories (kiseru even which is traditionally used in tea ceremony if the guests smoke). 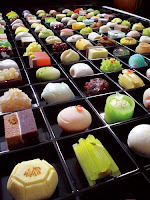 The other three images are examples I found in google images of other types of sweets or Wagashi. The pink one is my favourite that I look forward to every spring. It is a mochi rice sweet with red bean paste inside, warped with a salted sakura leaf. Truly a great sweet with any tea. Check out Rakuten, your local china town or even a local Japanese specialty shop to try out these sweets! !